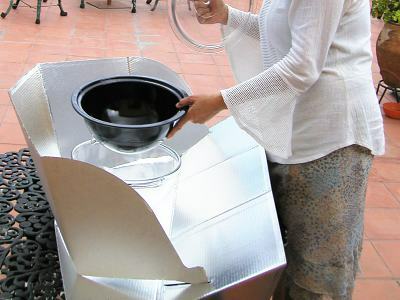 The pot assembly comprises a 5-liter black-enameled steel pot supported by its rim inside a covered, transparent, tempered glass bowl. There is a half-inch of air space between the pot and the bowl. The heat retained inside the glass bowl creates a miniature “greenhouse” effect and maintains cooking temperatures. 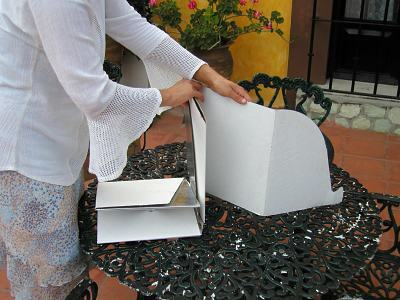 The pot assembly rests inside one of two types of reflectors. 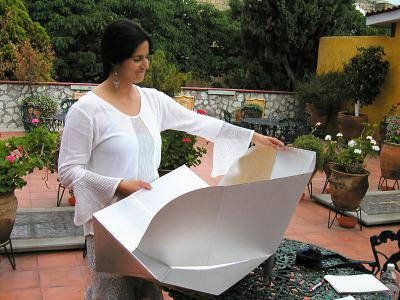 The reflectors are shaped to concentrate the solar energy onto the pot. 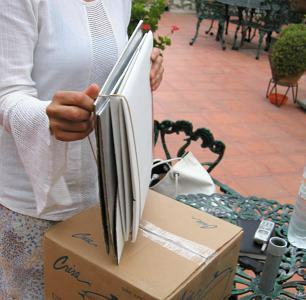 Both fold easily for storage and they are equally efficient. 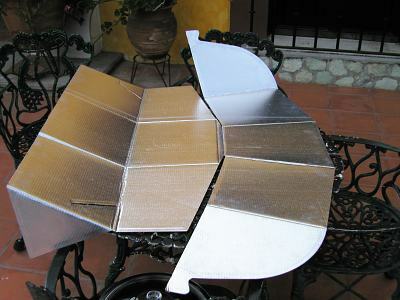 The less expensive standard reflector is made of aluminum foil bonded to heavy cardboard. The more expensive reflector, the Morning Star, is made of anodized aluminum and has steel hinges. It is, more durable, more alluring and impervious to termites and goats. We are often asked how fast the food cooks. There are too many variables to answer precisely; latitude, altitude, time of year, time of day, climatic conditions, type of food – all – affect the timing. 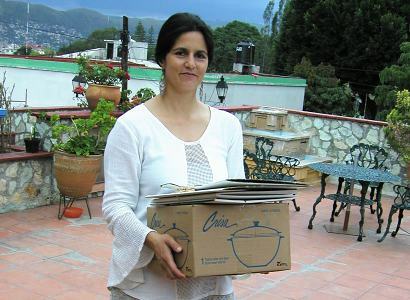 As a rough average, you can expect solar cooking to take about twice as long as cooking over a flame. We have recorded temperatures up to 250 degrees Fahrenheit inside the cooker. A liter of water can boil in less than an hour, a cake can bake in an hour and a four pound chicken can cook in two hours.